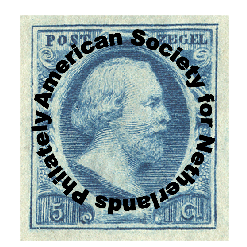 Welcome to the website of the American Society for Netherlands Philately (ASNP). those interested in the philately of the Netherlands and its overseas possessions. good idea what you can expect from our magazine. Enjoy your visit and see you back soon.